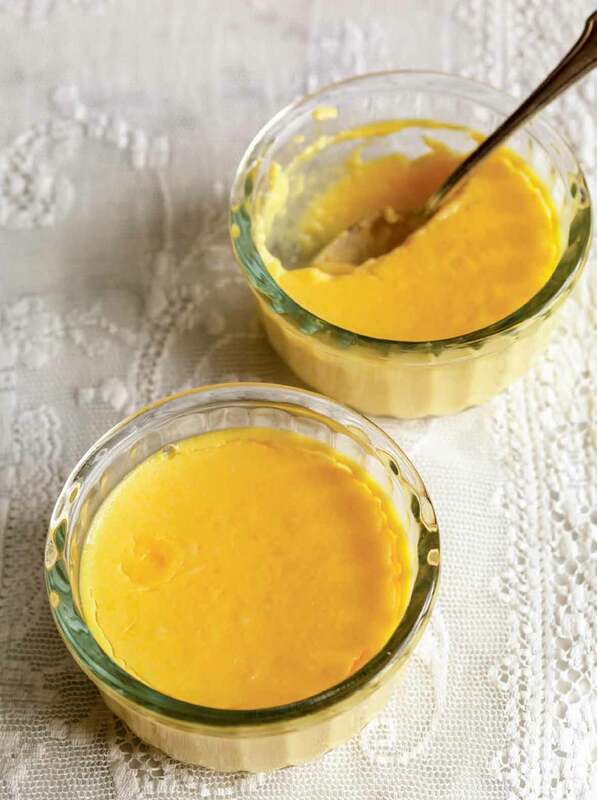 This Spanish orange flan, or flan de Naranja, is made from just orange juice, sugar, and eggs, and it’s simple, smooth, rich, and creamy. A traditional dessert from Spain that’s loved the world over. Gluten-free, dairy-free, and Passover-friendly. 1. Preheat the oven to 300°F (148°C). 2. Heat the orange juice with the sugar in a saucepan, stirring until the sugar dissolves. Remove from the heat. 3. Lightly beat the eggs and egg yolks with a fork in a large bowl. Beating constantly, gradually add the citrus mixture in a slow, thin, steady stream and beat until well combined. Strain the mixture into another bowl, then ladle it into eight 6-ounce ramekins. Place the ramekins in a large shallow roasting pan and place it on an oven rack that’s pulled partway out. Carefully pour enough boiling water into the pan to come halfway up the sides of the ramekins. 4. Bake the orange flan for 30 minutes, or until the tops are set. Take the ramekins out of the pan and let cool to room temperature. Cover with plastic wrap and refrigerate at least 8 hours or until ready to serve. 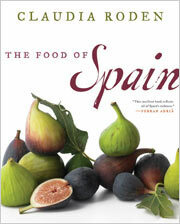 Spanish Orange Flan Recipe © 2011 Claudia Roden. Photo © 2011 Jason Lowe. All rights reserved. All recipes and photos used with permission of the publisher. As described, this definitely was a “refreshing, slightly tangy, creamy custard.” It was delicious, light, and so fast to assemble. I used freshly squeezed orange juice and added 2 teaspoons of orange zest. We ate half of them at room temperature (couldn’t wait for them to chill after baking! ), then ate the others after chilling overnight. We preferred them softer and at room temperature. This recipe is definitely a keeper. With three ingredients, this recipe really couldn’t be simpler. It has a light, tangy, refreshing taste, perfect for after dinner—or as a snack, I might add. Freshly squeezed orange juice is best here, though I had to use both freshly squeezed and ready-made to get the amount required. I also used some orange zest in the recipe, and strained the custard before pouring it into the ramekins. I halved the recipe without problems, baked the custards for 50 minutes, and chilled them for 4 hours before serving. This recipe was easy to make and a delight to serve. Delicious! This was dead-simple to make. It was light in texture and beautiful in color. The taste was clean, with a pure orange flavor. I used an heirloom variety of oranges because clementines weren’t available. I baked them for exactly 30 minutes, and they were just a tad overcooked (I don’t think anyone noticed but me). I’d have liked them just a bit softer. Because I love the combination of caramel and orange, I served these custards with Alfajores de Dulce de Leche, the Peruvian caramel cookies. The pair was perfect served with strong coffee and Quady’s Black Muscat. Hello, if I made this Portuguese style with a caramel base, like a traditional Portuguese flan, pour in the orange mixture, bake, refrigerate, then turn out onto a platter, do you think it would work? Pauline, I’m not sure because we’ve never made it that way. I’d hate to say yes and it flops. If you do try it, please let us know, and we can add a note about it.